Charleston Forge furniture is handmade in Boone, North Carolina from beautiful American hardwoods and other materials by local craftsmen. 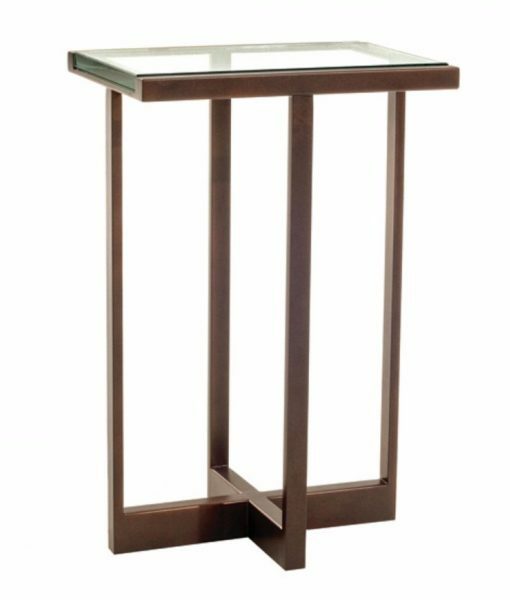 The linear architectural lines of the Lewis drink table make a strong statement for such a small table that can go just about anywhere in your home! There are numerous metal finishes available for the Lewis drink table.